Our dental staff is committed to good dental hygiene. 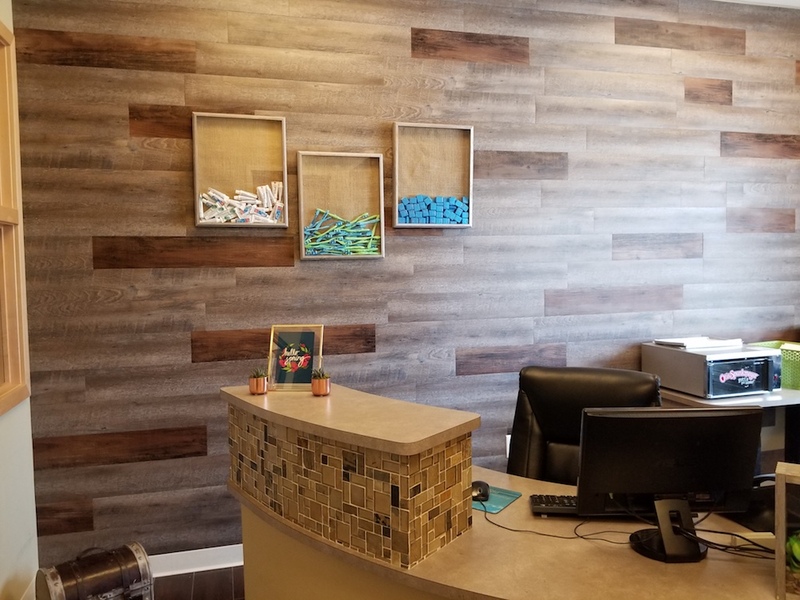 We make every effort to make sure all our patients feel comfortable while visiting our office. We provide individual consultations and dental exams, cleanings, x-rays (when needed), intra-oral pictures and a focus on encouraging proper home care and overall oral health. We also offer dental sealants to help protect teeth against decay, fluoride treatments for healthier and stronger enamel as well as decreasing sensitivity, and custom athletic mouth-guards and night-guards to protect your smile. In addition to being interested in the beauty of your smile, we are concerned with the health of your mouth. To help you achieve and maintain your optimal oral health, we focus on preventive dental care and regular dental checkups. This not only keeps your teeth and gums looking and feeling great (and your breath smelling better), but keeping up with your oral health can also significantly decrease the amount of money you’ll have to spend on dental treatment later in life. We provide tooth-colored fillings, natural looking porcelain caps, crowns, fixed bridges, endodontics (root canal therapy), dentures, and removable partial dentures. From minor tooth adjustments and smile enhancements to dramatic smile makeovers, we offer cosmetic dentistry services including: tooth-colored fillings, porcelain crowns, fixed bridges and veneers. We use ultrasonic technology to remove plaque bacteria and tartar build-up from above and underneath your gums. We know that if your teeth and gums are infected, you won’t be able to fully enjoy your food. Eventually it can become difficult to chew properly which can reduce the amount of nutrients that your body obtains from your food. All this can seriously affect your overall health and well-being. We use an antibiotic placed beneath the gums. This product has been proven to kill the bacteria associated gum disease. During your dental exam, do not be surprised when Dr. Dewell examines your head, neck, and tongue. She will be looking for any signs of inflammation or infection. Dr. Dewell and her staff will evaluate your teeth thoroughly taking several x-rays, photos, and measurements. We know that this information gathering session can seem like it lasts a while, but please be patient with us. This is a very important part of providing you with your best and healthiest smile. We want you to be comfortable which is why Dr. Dewell has invested in dental chairs that relieve pressure points by contouring to your body, and we even have heated dental massage chairs. So relax and put your mind and teeth at ease.